A richly varied topography that stretches from the coastal edge of Sonoma County, to the mouth of the Russian River and towards the Napa county border, this is widely considered to be one of the finest appellations anywhere in the world for the cultivation of Chardonnay and Pinot Noir. a climate cooled by ocean wind and fog intrusion. ranging from alluvial river benches to rugged hillsides within sight of the Pacific Ocean. All, however, feel the specific effects of fog, cooling breezes and wide diurnal shifts. 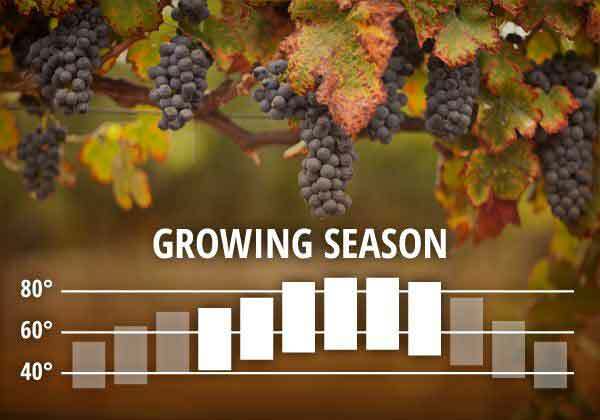 The daily cooling/warming cycle results in large variances between high and low daily temperatures during growing season. This ensures ripening and enables the fruit to develop full flavor maturity. Shaped by plate tectonics, volcanic activity and erosion, soils here range dramatically – from clay loam near the San Pablo Bay to the rocky, ocean-derived soils in the ridges off the Pacific coastline. This diversity is a key factor in the complexity and textures of Sonoma Coast wines. Sonoma County contains more soil types than all of France. Chardonnay produced in Sonoma Coast is available now. Cherry, red plum, black tea and dark chocolate mingle with alluring earthiness. Vivid acidity and plush tannins lead to a long finish. Pinot Noir produced in Sonoma Coast is available now.